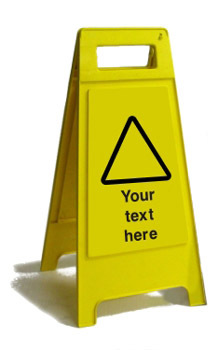 Free Standing BLANK Warning Sign - 300mm x 630mm PVCThese signs are totally blank with no printing or graphics.Add your own wording or printing on to these free standing heavy duty plastic signs, or stick on your own signs. 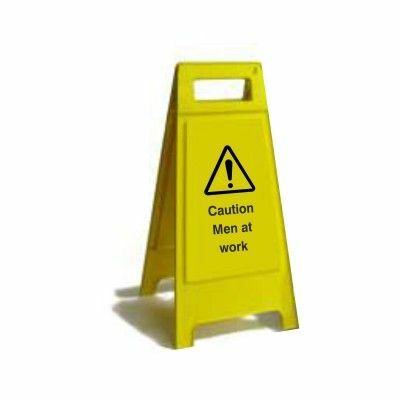 Double Sided Free Standing Warning Sign - 300mm x 630mm PVCChoose your own wording to be printed on to these free standing heavy duty plastic signs. 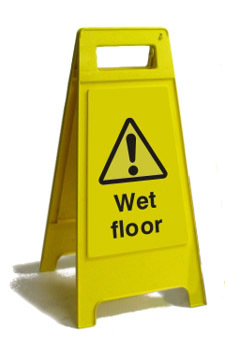 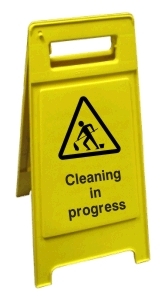 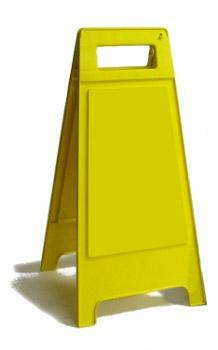 Please find below a selection of our best selling and most popular Free Standing Health and Safety Warning Signs. Safety Services Direct Ltd can supply you with all of your health and safety signage requirements, so please contact us if you have a specific safety sign requirement.